Great shot of a white truck in a snowstorm. It's almost like it's not there at all! It was actually sunny here today ,the forecast is lookig a lot better than what we have had the last couple weeks. Rob, the reason I wrote that was there was no picture when I first looked. 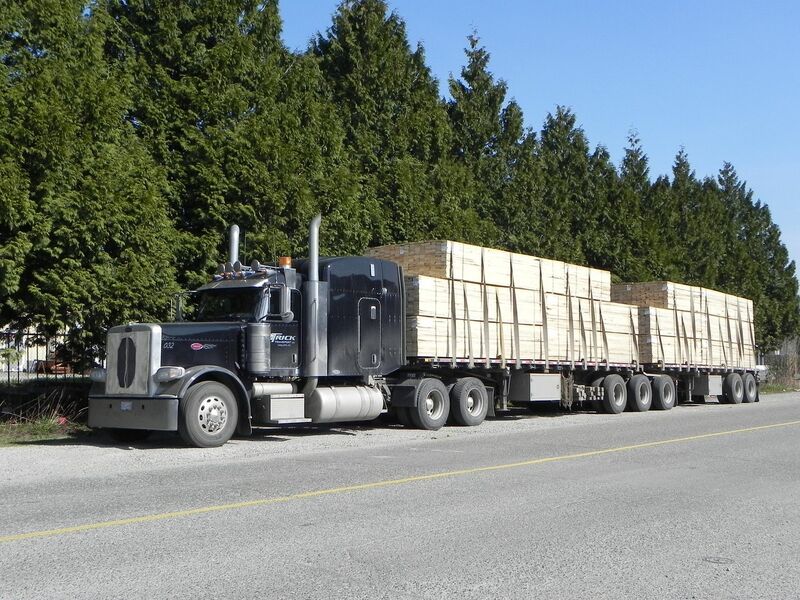 Caught this 50's Canadian Kenworth in the back of a logging yard. 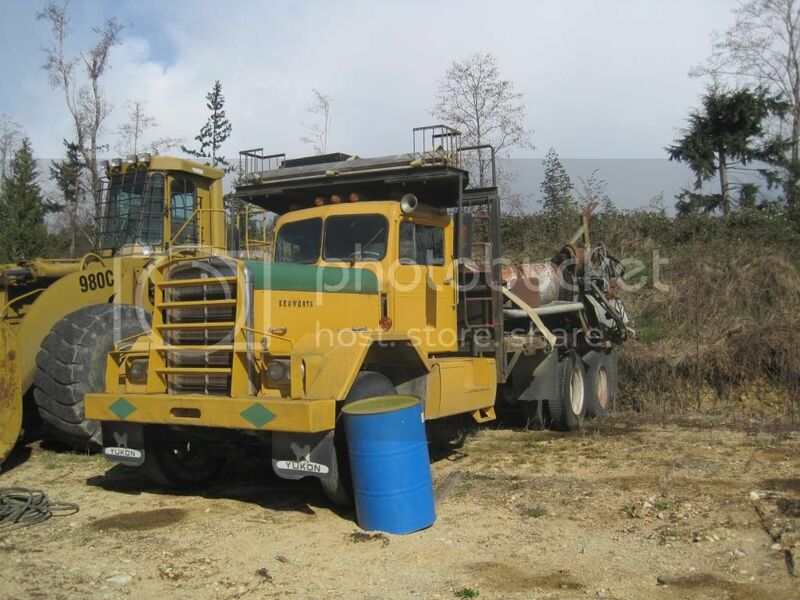 Its in great condition compared to all the other old trucks in the logging world! 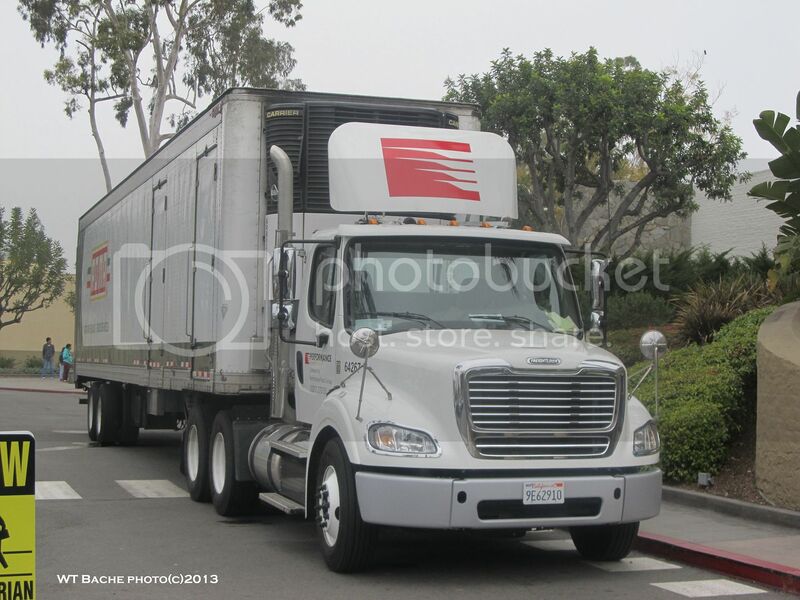 3-25-13 Performance Food Group parked in front of the Food Court at the Los Cerritos Mall-Cerritos CA--the former Vistar graphic has been removed from the trailers. A pic from the curve. Transport Alain Normand is from St-Antonin . His fleet haul lot of peat moss based products manufactured by Premier Tech out of nearby Riviere-du-Loup. 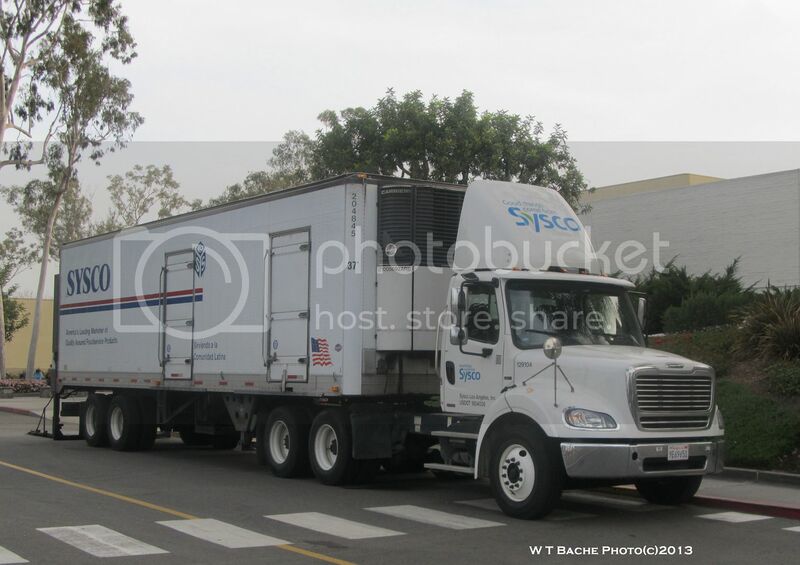 A lot of those products are hauled to garden centers in USA NorthEast. 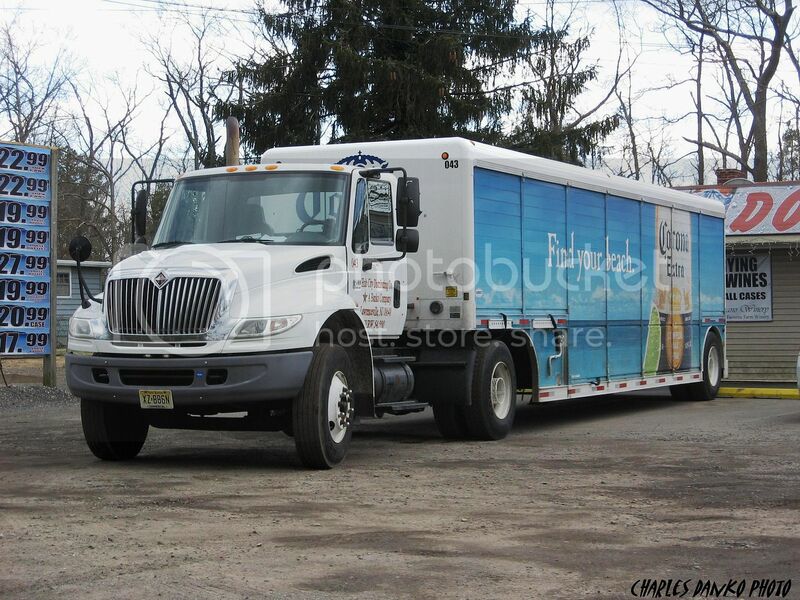 Wednesday March 27 2013..........although sunny it was another cold & windy day back here in Jersey although this beer distributor offers to help me find my beach somewhere warmer i presume. 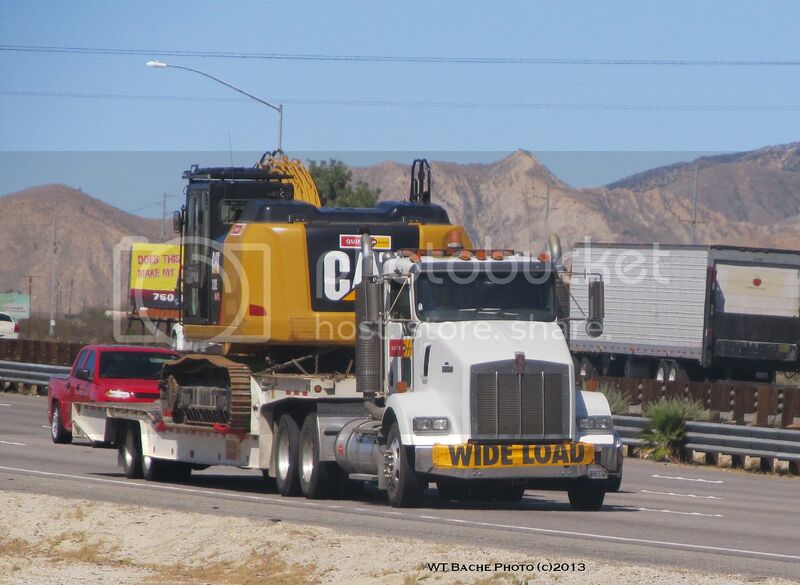 caught this Pete hauling a CAT Excavator on I 10 East at Whitewater---Quinn is a CAT Dealer in southern and central California. March 30th, the Easter weekend, a Peterbilt 388(?) with B-train flat deck and lumber sits off to the side. March 31 2013, Easter Sunday. 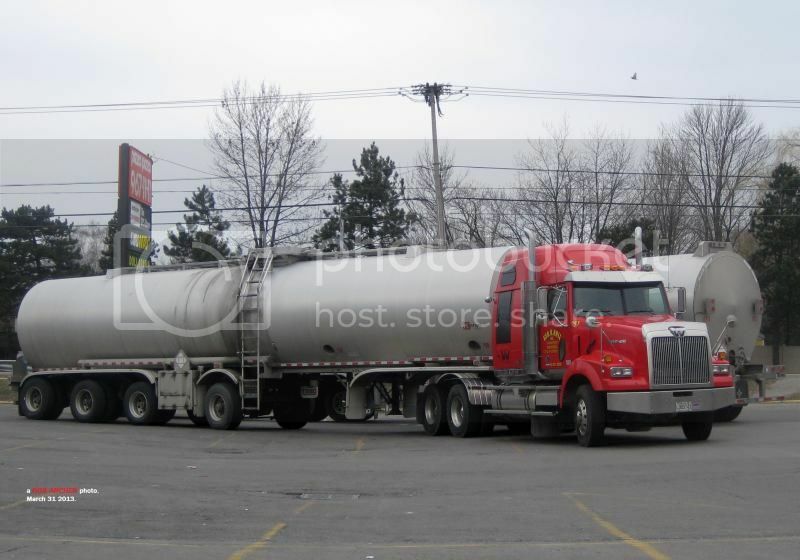 Two tankers from Geo R Hall are taking a short break at Tm Hortons near the Suncor Refinery where they load.